It began with stories of undead Taliban rampaging through Afghan villages, and faster than anyone could have anticipated, the darkness spreads through the world.In a world laid waste by this new terror, four unlikely companions have been thrown together: a seventeen year old boy dealing with the loss of his family; a US Navy SEAL trying to get back home; an aging, lonely writer with no one to live for; and a young girl trying to keep her three year old brother safe.When they discover that the smallest amongst them holds the key to removing the scourge that threatens to destroy their world, they begin an epic journey to a rumored safe zone high in the Himalayas. A journey that will pit them against their own worst fears and the most terrible dangers-both human and undead.A journey through a wasteland now known as Zombiestan. 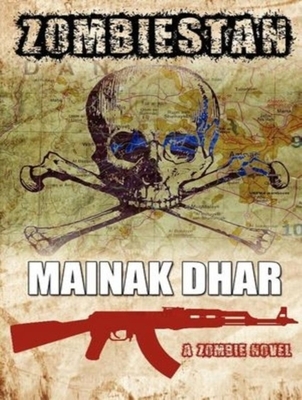 Mainak Dhar is the author of twelve books, including "Vimana," "Hindustaan," "Heroes R Us," and the amazon.com bestseller "Alice in Deadland."